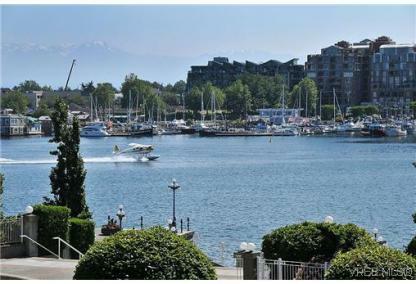 Victoria West, commonly called Vic West, is an historic neighbourhood of the city of Victoria, British Columbia, Canada, located just west of downtown across Victoria Harbour, bordering on the Township of Esquimalt. Victoria's equable climate has also added to its reputation as the "City of Gardens". The city takes pride in the many flowers that bloom during the winter and early spring, including crocuses, daffodils, early-blooming rhododendrons, cherry and plum trees.